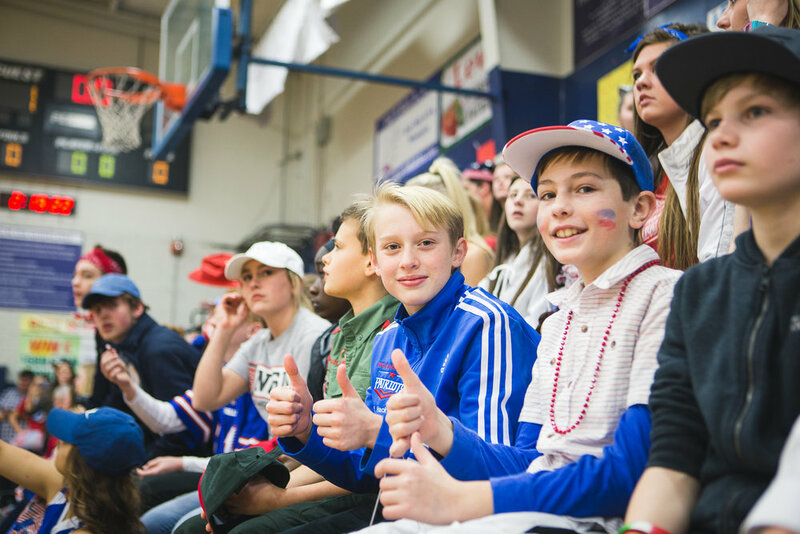 Middle school students enjoy a program designed to augment basic academic skills in an enjoyable environment that encourages group interaction while developing individual responsibility. We are thankful for the opportunity to assist you in guiding your children through this transitional time in their lives and helping prepare them for success in their high school and college years. Bible classes are offered 5 days per week. One Bible teacher is in charge of the entire Middle School program and is able to maintain a unified focus as the students progress through middle school. A yearly theme is emphasized with all classes, along with the curriculum that centers on “Redemption” in sixth grade, “Life of Christ” in seventh, and “Old Testament themes” in eighth grade. In sixth grade the focus is on the fundamentals of math and the teacher will make evaluations in the course of the year to aid in giving recommendations for math placement in seventh grade. In seventh and eighth grades students are placed into Pre-Algebra and Algebra I based on motivation, maturity, and ability. Science is the study of our physical and natural world through observation and experimentation. Although, scientifically speaking, neither creation nor evolution were observed by man; we will evaluate evidence that is available to show that creation is a far better explanation of the origin of man and the universe in which we live. The English language and it’s use is an art. Students are taught proper form for written expression, introduced to literature that can challenge their thinking and help reinforce their world-view. This is done while maintaining an emphasis on proper grammar in expressing their thoughts. Studying the events of history from a Biblical perspective challenges our students to evaluate their actions as citizens of both heaven and earth as to how they might impact their culture in a positive way for both now and eternity. Wilmington Christian middle school electives offer students a wide range in fine arts as well as other practical studies that can broaden and enhance their experience in contemporary, culture, general knowledge, and social skills. Each month a record of conduct points is tabulated focusing on the positive element of not receiving violations at school. All student points are added together to equal an overall total for each separate crew. Crazed Crew Competition times are announced competition days to meet in the gym or on the field for a full hour of fun. These will meet once a month. Each Wednesday we have a dynamic chapel time that highlights special speakers and presentations. The students will do several small and a few large scale out-reach programs in our surrounding counties each school year. Our focus is training our young people to show an attitude of Christ in being servant minded and helping those in need. Crew calls are unannounced game and competition times. On any given day, the crews could be called out of their classrooms to meet on the field or in the gym to participate in a quick crazy challenge. The winning students will earn points for their crew. Students participate in an exciting class trip each year. 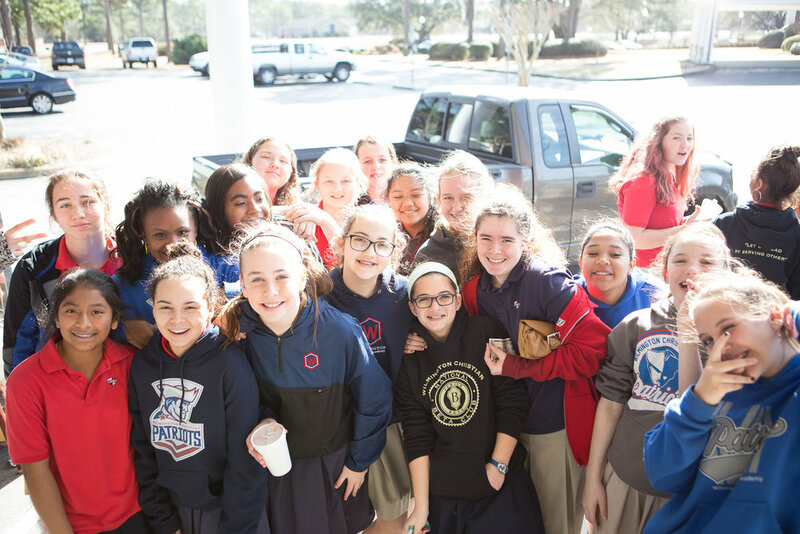 Come see Wilmington's most comprehensive Christian School!